As I got my hair cut on Friday, I paged through the February 2011 issue of Marie Claire Magazine. As a major "Dawson's Creek" fan in the 90s, I am always excited to read about the old cast. What a pleasure to read the interview with February's cover girl- Michelle Williams. As always, she was asked the question about how she coped with the death of her ex-fiance Heath Ledger. This time she spoke about the practice of yoga and how it helped her work through the grief. Michelle tells the magazine, "The idea behind the program is that if you can clear the time, we do the rest. It provides childcare while the mum is in the yoga class, and it's all free." I'll be watching to see how they evaluate the program and how/if it rolls out nationally. But it appears to be off to a good start as it goes beyond simply educating women about exercise and telling them that they should. 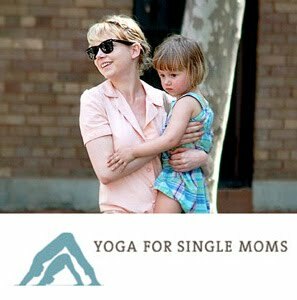 The program seeks to work for a single mom's environment, schedule, and unique challenges. Great job Michelle.